Do you ever experience when things all seem to pull together? BookBairn's latest interest seems to be flying at us from left, right and centre. It started when she became fascinated by hearing and spotting aeroplanes in the sky - gliders and military planes (we live relatively close to a former airforce base and they still practise lots of maneuvers) as well as commercial planes at the airport when we drive to her granparents' house. Then I picked up an engineering kit where she can remove the screws from a toy plane with a little electric drill. And in the last few weeks alone she's insisted I make paper aeroplanes, run around the garden with her arms out to the side making jet engine noises and we had our first pyjama movie morning watching Disney's Planes. And we got some book post that compliments all these interests! 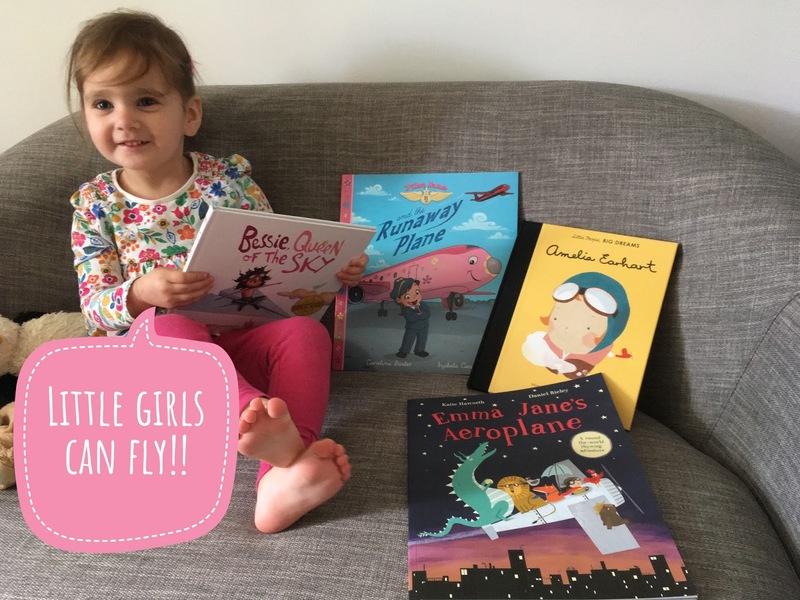 So I thought I'd share some great books about little girls (which seems to be a theme of books at the moment) that can fly! Amelia Earhart is probably the most famous female pilot in history setting world records for her flying skills and then mysteriously disappearing during her last flight in an attempt to fly around the world. But it all started when she was young when, like BookBairn, she stretched her wings and imagined she could fly. This biography is a great story for younger readers, introducing them to a mighty girl we can all admire. And the illustrations are adorable! 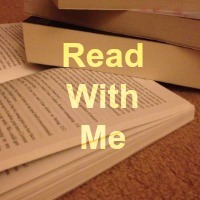 I reviewed this one some time ago but you can find the link here. This is a brilliant story for little adventure-lovers! 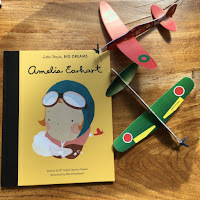 Emma Jane zooms off in her aeroplane visiting cities around the world - London, Paris, New York, Beijing and Sydney - making new friends along the way. Her new friends immediately hop aboard which is a good thing too as Emma Jane's aeroplane gets into trouble along the way and they help her get flying again! Told in a rhyming narrative this is such a great read aloud story, though I would say it's slightly on the long-side for us as we do several stories at bedtime, although BookBairn doesn't mind - it's just us parents keen to get the bairns to bed! The illustrations are so clever too with each character beautifully captured and coloured to stand out from the page. It makes me want to join Emma Jane's crew! I love this one! And Emma Jane make s brilliant, plucky protagonist that I hope BookBairn admires amongst her Mighty Girl role models. What a great caper this book is! Jane and her plane Rose fly all around the world having lots of fun, declaring "girl power forever" at the end of their little team song. But when Rose is taken poorly and the Queen requires flying to a party Pilot Jane must step up and fly Mitch the mean flying machine (the biggest plane that Jane has ever seen) the course does not run so smoothly as it does with Rose. Mitch takes a dislike to this mighty little female pilot declaring that she must be a scaredy cat because she is a girl pilot! What nonsense says Jane! But Mitch swoops and he soars making things rather uncomfortable for the passengers and making keeping control very difficult for Jane. But Mitch isn't so brave when he encounters a storm! Can Jane save the day and land the plane safely? Or course she can - she's got girl power! And thankfully she gets reunited with Rose after enjoying afternoon tea with the Queen as a reward for her flying skills. This is also written in narrative rhyme and rolls of the tongue as you read. I love the personification of the planes - it's a magic that can only occur in children's books and the illustrations really bring them to life. Though my favourite illustration has to be of the Queen snoring, mouth open, on the flight - it really made me laugh out loud. I find the part where Mitch makes fun of Jane a bit uncomfortable to read and I prefer my Mighty Girl books to be a bit more subtle in their approach but I suppose it's good for children to occasionally be confronted with outright sexism and see how to handle it too. Perhaps if BookBairn was older I might appreciate it a little more but for the moment I don't even want it to cross her mind that because she's a girl society has certain expectations of her. But Jane is certainly a girl she can admire and this is a great story. This is the first book in a new series that take stories of real women and turns them into fairy tales to inspire girls to follow their dreams. This one is the story of Bessie Coleman, the first black woman to hold a pilot's license in the world. But as I said this isn't a typical biography - it's been made magical! When Bessie is growing up, no one can imagine that she will do anything more than pick cotton from the cotton clouds. Bessie dreams of flying. She tells her sisters stories about flying. She has a best friend who is a bird that she sings to about flying. And as Bessie grows older her desire to fly just grows stronger. She works hard until she has enough money to go to pilot school but even then she is told girls are not welcome at pilot school. Well, all except one, in the City of Lights. She even has to learn a new language to go there but ever chasing her dream she conquers this other hurdle until she eventually gets to fly a plane with her bird friend racing alongside her! This really is a magical fairytale and it's hard to imagine that it is based on a real story! But it is and it's so beautiful. 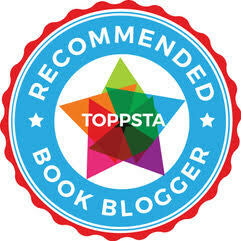 The illustrations are soft and add to the fairy tale magic of the story. This is a great read for little mighty girls who need inspiration to chase their dreams no matter what the hurdles. This publisher also follows a One for One Model, where for every book purchased, another will be donated to organisations that empower girls and fight illiteracy. You can read more about it on their website here. And a special mention also goes to Amelia the Flying Cat by Nikki Floreno which isn't available for purchase yet and is being launched using Kickstarter but we've had a sneak preview and it's adorable! Amelia is an irresistible little kitten who wants to fly like her bird parents and family but she can't because she's a cat! She even tries to fly a plane but cats just can't fly. Don't worry it has a happy ending but I don't want to give it away! This is an adorable story about picking yourself up when you fall, perseverance and the love and support of family and friends. And Amelia and her birdy friends are just too sweet. Keep an eye out for this one or look up the Kickstarter page here. I really hope BookBairn will dream she can fly. Though maybe not literally if that's not her thing! I just hope she will chase her dreams and be whatever she want to be! Maybe BookBairn will become a pilot. Remember, it runs in her blood - her Great Grandpa Jim was a Spitfire pilot in WW2. I look forward to showing her his old photographs someday. I exhausted myself flying around the garden with her yesterday but it was great fun and she does make a good aeroplane noise. These books look great and I love the title of "Little People Big Dreams". Of course - that's probably where she gets her wings from! I had to google how to make them! Haha! Thanks Chantelle! I must say I'm an Amelia girl - I've admired her for a long long time!